Welcome to The Tuesday Talk and Thirty Days of Gratitude, Day 26, all rolled up in one! Let’s talk confidence today. Last year, I wrote this blog post about having confidence doing DIY projects. I am really proud at how I’ve gotten more and more confident in trying new DIY projects. For example, last year, I don’t know that I would have had the gumption to reupholster my dining room chairs, but I did it this past weekend. I have always – in my head – felt like I could do anything. And then the rubber hit the road and, there were times, I chickened out. Until I realized that I really could do just about anything. So, today I am grateful for confidence. 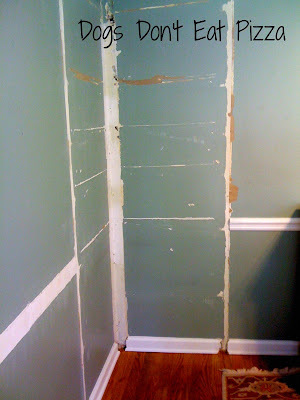 I tore out the corner cabinet that was in our breakfast room. The cabinet was small and two of the shelves were broken, so it wasn’t effective storage. One day, I just decided it was time for it to go. I took a sledgehammer to the shelves and pried out the sides. 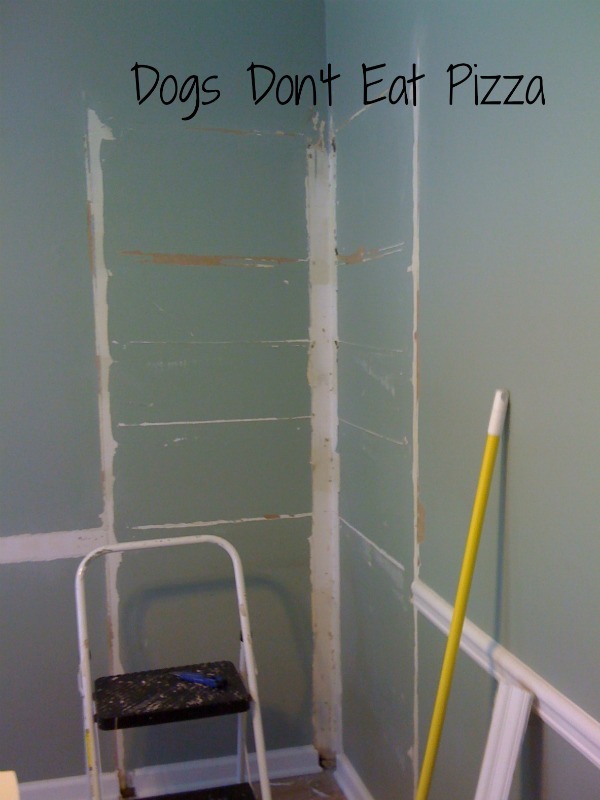 I only damaged the drywall in one or two spots. And you know what? 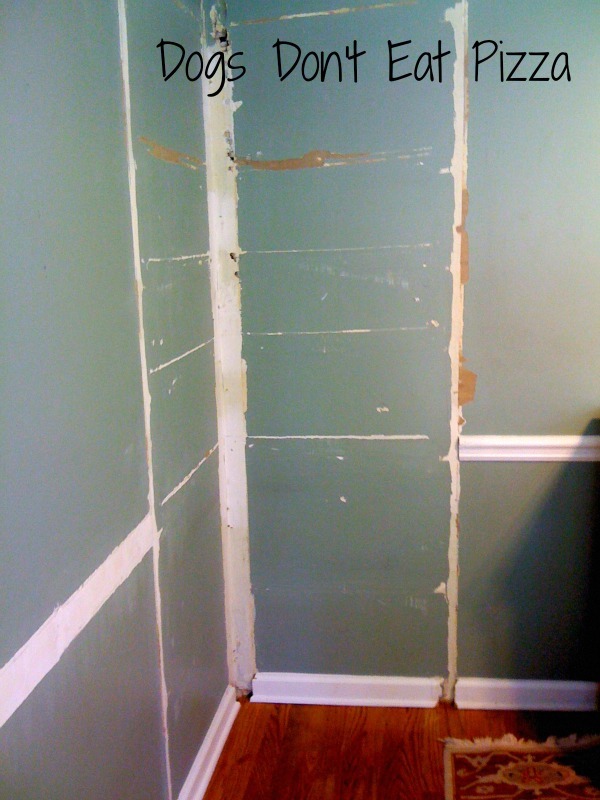 I patched the drywall myself. 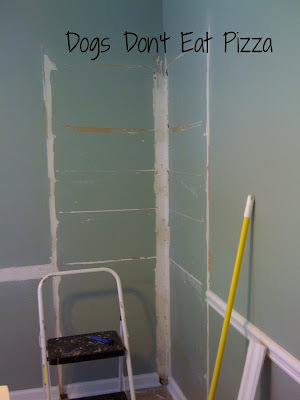 Had I patched a big hole in drywall before? Did I successfully patch the hole? I just did it. I bought the supplies – adhesive backing (I used SimpleMat Tile Setting Mat from Home Depot – very cool product), tiles, tile cutter, grout, grout float, sealer. I was so proud after I did it, I did a happy dance. Had I ever tiled anything before? And I survived. And had the tile backsplash I wanted. So much of DIY’ing is just having the guts to do it. For example, tearing the carpet off the beautiful wooden stairs, like I explained in this post. I had thought about it for years. I just needed the confidence to up and do it one day. Which leads me to the toilet. Plumbing has always freaked me out. But yesterday, we had a clogged toilet. It had been clogged for almost 24 hours. I plunged and plunged, hoping against hope that it would resolve itself. It didn’t. The last time we had a bad clog, we called a plumber, and he charged us some terrible amount of money to use an augur to resolve the clog. He mentioned that you could buy one at a hardware store, but that “they didn’t work as well.” Sure. Right. When the toilet was still clogged after plunging and hot water and dish soap didn’t work, I decided to get my own augur. And yet, for some reason, as I approached the hardware store, I was reticent. I was almost nervous about it. In fact, when the greeter at the door asked me what I was looking for, I told him I was looking for a plunger. I guess I was afraid he might talk me out of buying the augur, or look at me like I had three heads or something. I have no idea what I was thinking, in hindsight. After all, people go to the hardware store to buy an augur, so it would be perfectly reasonable for me to do the same thing. Seriously, it was the best $8.78 I’ve spent in a long time. You should go buy one. Just sayin’. You might need it one day. Anyway, I got home. I followed the instructions. I did EXACTLY what the high-priced plumber did. And you know what? The toilet gave me a happy gurgle and flushed. All it took was $8.78 and a little backbone. Brittany at Pretty Handy Girl always says that, “If a human being can do it, there’s a 95% chance you can do it, too.” I heard that in my head as I found and bought the augur, and when I jumped for joy when I fixed the toilet. I am grateful that I have the confidence to try new things, to do hard things, to tackle projects. So, the Tuesday Talk topic today is: What have you tried lately with a little confidence? What would you like to try? Those chairs are gorgeous. They really set the rug off. Well, I guess today I’m grateful for the Tuesday Talk. I used to be much more confident about projects, but am more hesitant as I age. You’ve given me a big boost today. We are just finishing our bathroom cabinets and they’re turning out great. 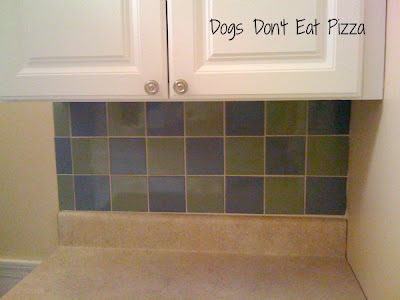 Next I want to tile the bathroom backsplash … on my own. I’ve tiled before with great results, but this is different. There is a wooden backsplash around the vanity top and I have to pull that off, so am scared there’ll be too much patching to do. But … we’re going to buy the tile and just do it … before Christmas. Hope everyone has a wonderful, safe and HAPPY THANKSGIVING. I say, GO FOR IT, Cheryl! You can do it! Patching isn’t hard, and the good news is that the tile will cover the patching anyway, right? You can do it – go for it! (And then let me know how it goes!) Thank you for your sweet words – they mean so much to me. Happy Thanksgiving! !